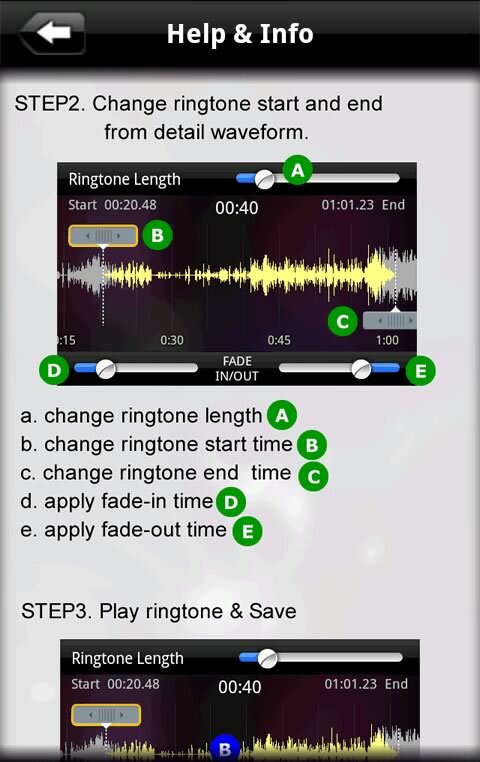 Create ringtones with intuitive and easy UI. Customizable fade-in and fade-out time. Beautiful interface with real audio data. Assign ringtone to contacts, use as alarm or notification. Manage ringtones within the app. Requirements: Compatible with most Android phones. Supports Android 2.3 and later. the best	I've used a lot of different programs, this is my absolute favorite. No glitches! Absolutely awesome! 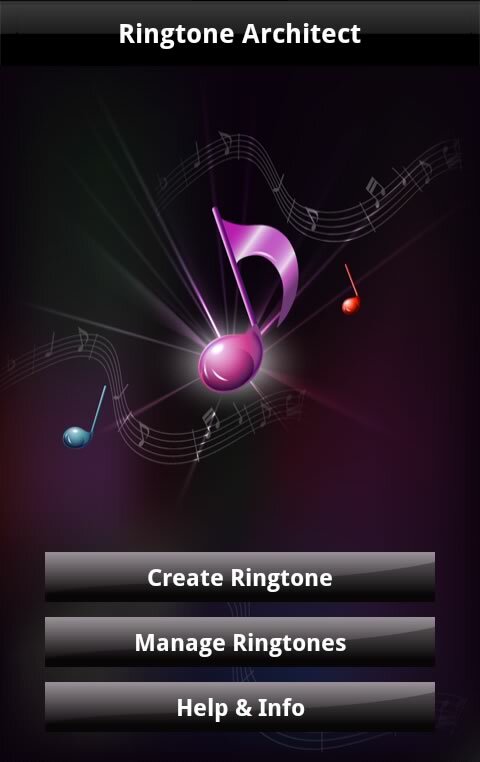 The best ringtone maker I have used! Very easy to use. Great app! Really cool app. Love how I can control how my tone comes in/out. 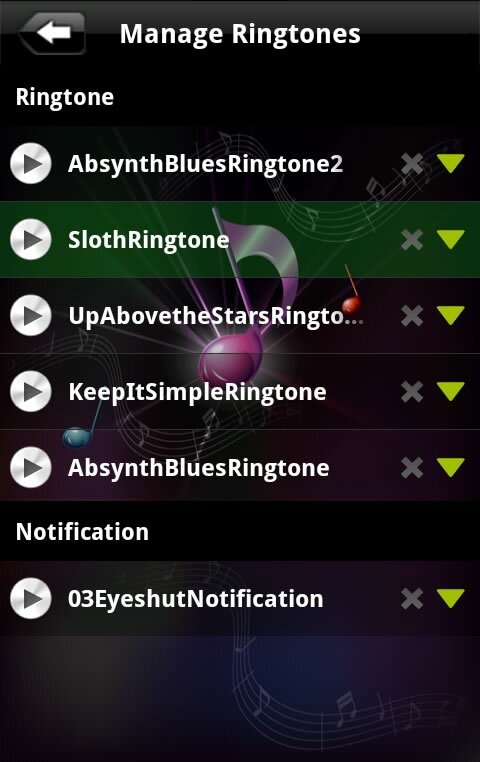 The best ringtone creator in the market. 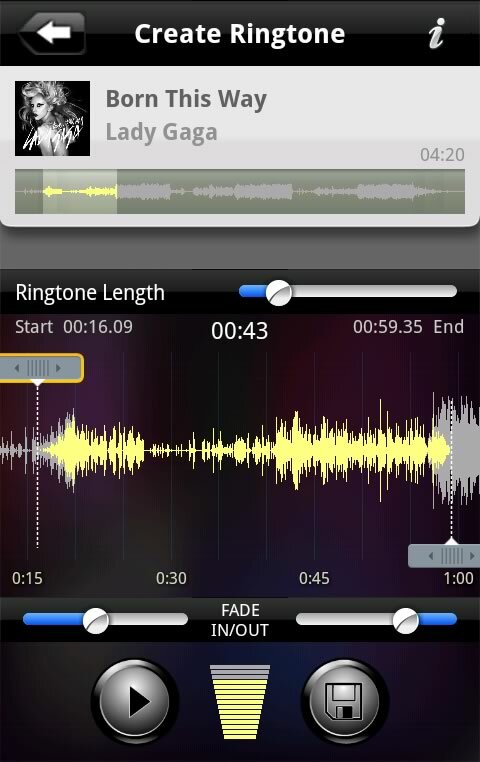 Sleek GUI; has fade in/out option, editor for created ringtones. What a fantastic app which really serves as 2 apps. You can edit your ringtone and also allow it to fade in. THE BEST BY FAR EDITING RINGTONES!!! WAY MORE FEATURES, GETTING WAY BETTER RESULTS!!! Manual is available in English, Spanish, Chinese, Japanese, Korean. Ringtone volume too small ? Go to Settings > Sound > Volume. Adjust Ringtone volume and press OK. Fixed issue when setting as notification. Fixed issue when manual is manually deleted from SD card.